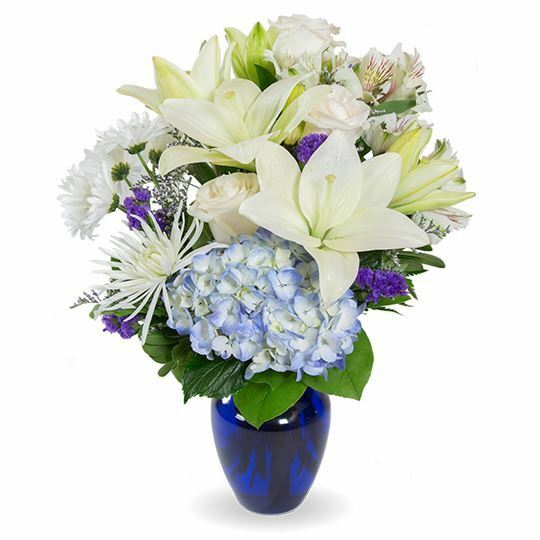 Ivory asiatic lilies, blue hydrangeas, white roses, Peruvian lilies, spider chrysanthemums, and purple statice overflow among a foundation of salal leaves and mixed greenery in a unique cobalt vase. 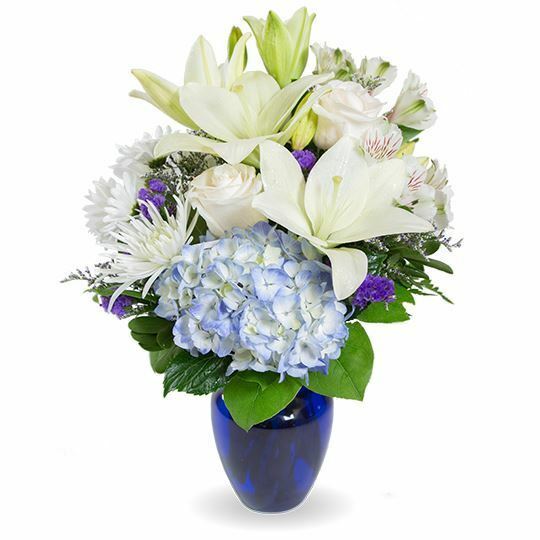 This design is one-sided so you can get the full effect of the arrangement. 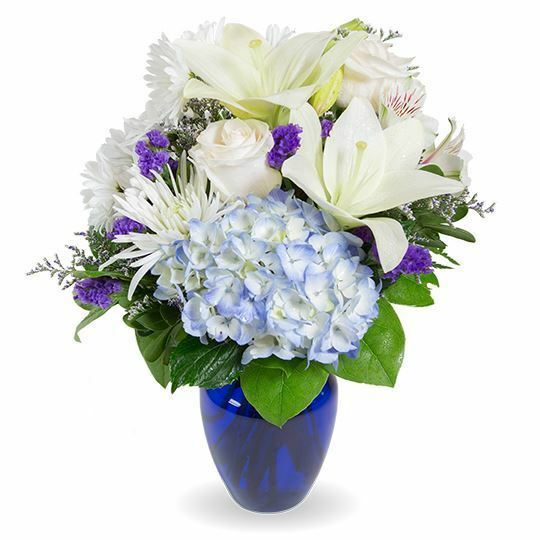 I sent these from across the country. Didn't see them, but my sister loved them! My brother-in-law said he loved them! We went with the premium. Size and colors were just perfect!